Like many of us who live in the Pacific Northwest, I was called to this region of the country because of its natural beauty, dramatic mountains, and sparkling waters. I moved here from the concrete flatlands of sprawling Midwest suburbia, where the air too often smells like a combination of diesel and fried food. Thankfully, I was raised by a mother who highly values experiences in the outdoors. She is also a fulltime professional artist, and as a resourceful single mother she brought her children along on her searches for inspiration in the natural world. My mom taught us to appreciate the outdoors by encouraging close attention: listen carefully and you can hear the wind under the wings of migrating Canadian geese; stand still long enough and you may just catch that tadpole. Trees were measured by hugs around their trunks, leaves applauded as they trembled in the breeze, thunderstorms were music to dance to, dirt was painting material, and a flower’s scent was joy juice. The natural world was full of magic and creative potential. It’s clear now that my own mindfulness practice began in these early experiences with nature. The connections between mindfulness and creativity have been inherently linked throughout my life and I believe that’s true for so many others. Living in our busy urban environment, paying attention to beauty is especially important. We all know how easy it is to be caught up in the speed and pace of the day-to-day bustle. But there is magic here too. The steam-whistle, the solid roll of the train of approaching cars . . . I work at the Seattle Art Museum designing and implementing programs for art and the environment. 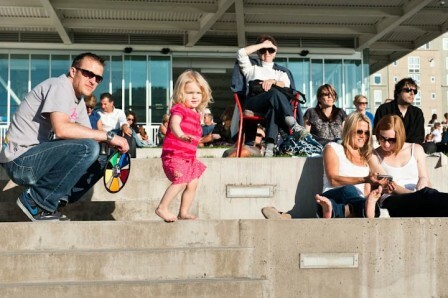 Many of my programs take place at the Olympic Sculpture Park and I recently planned our robust Summer at SAM season. 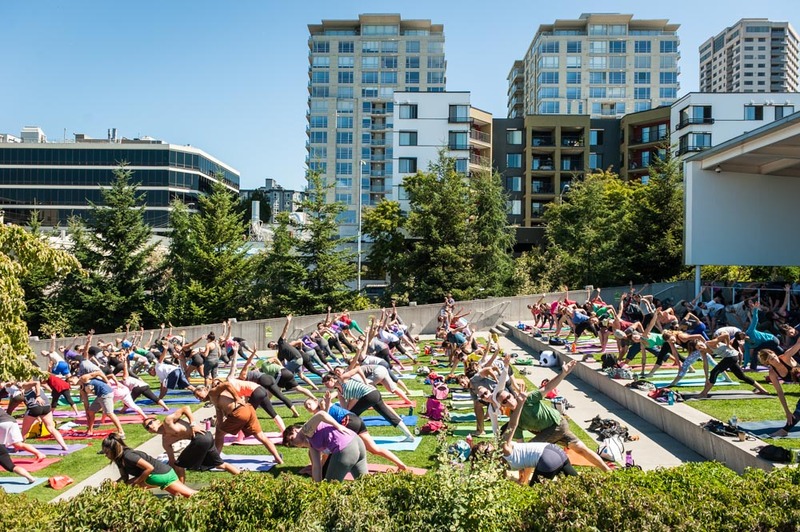 Every Saturday morning during July and August, hundreds of guests come to the sculpture park to participate in free outdoor yoga with 8 Limbs. It’s a fantastic and productive partnership. It’s also been a surprisingly rewarding program to work on personally. 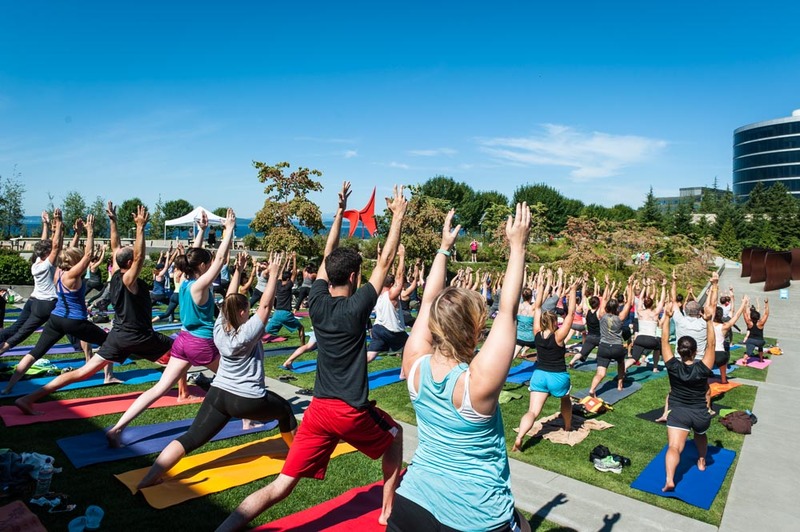 Imagine hundreds of people, all different backgrounds, ages, and skill levels, moving and breathing in sync to a backdrop of the Olympic Mountains, Puget Sound, and a masterful collection of minimalist modern sculpture. The energy of each body emanates through the entire nine acres of the park. 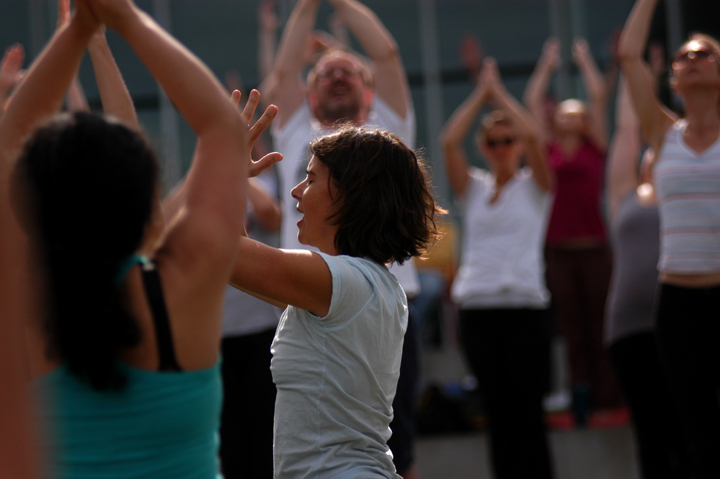 Yoga teaches awareness of the body’s relationship to the ground and earth, the space around and between bodies. It is guided by our interactions with nature and the very profound integration of our spirit, our physical makeup, and the cosmos. The Olympic Sculpture Park provides a unique setting for this awareness to take place at the intersections of art, nature, and the city. During practice, there is grass beneath your feet, breeze blowing from the waterfront, mountains in view, and native plants surrounding you. The city is alive and humming with noise from the street, railroad tracks, and neighborhood comings and goings of a growing area. Amid all of this, the park’s collection of modern and contemporary sculpture brings a focal point of creativity to mindfulness. You are, at once, a part of an entire community of systems and reminded of the many inspirations so readily offered if you just pay attention. 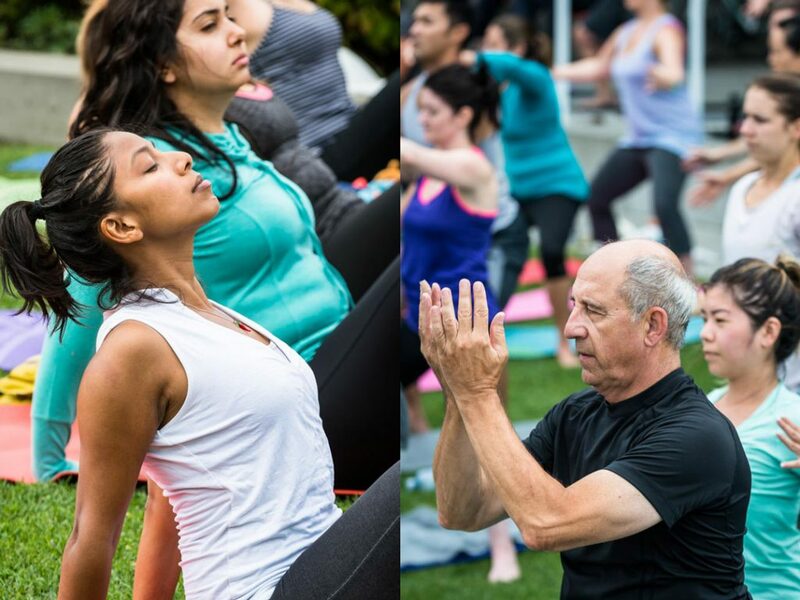 8 Limbs instructors will teach two free yoga classes every Saturday at SAM’s Olympic Sculpture Park at 9 am (All Levels Flow) and 10:30 am (Level I) from July 9 through August 27. On September 10, 17, and 24 we will continue teaching one class at 10:30 am (Level I). There is no yoga offered over Labor Day weekend. IMAGES: Photos by Robert Wade. People in Seattle make the most of the all-too-short summers and so does SAM! We’ve got a diverse array of art exhibitions, events and experiences at all three of our sites this summer. Whether you’re interested in Bollywood, baseball, yoga or landscape painting, we’ve got you covered. The Gardner Center for Asian Art and Ideas kicks off a second year of programs with a series of outstanding speakers on Sacred Sites of Asia! 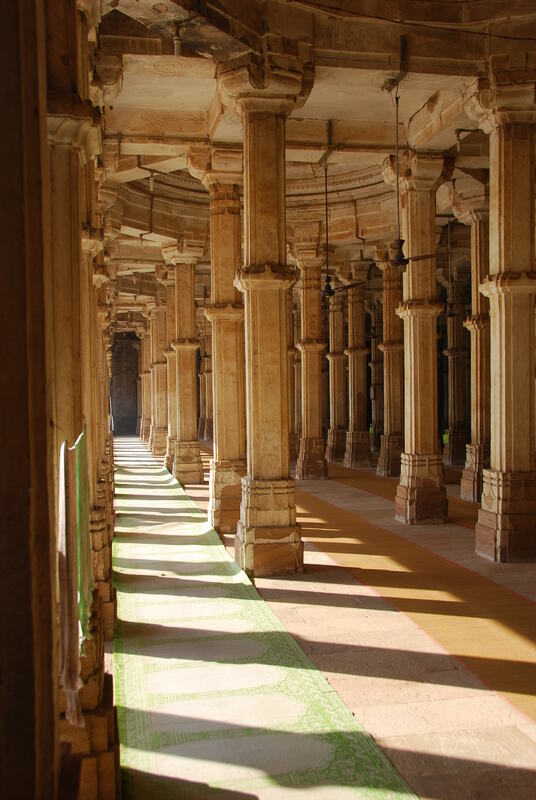 These nine sessions are a sampling of new perspectives and images, from the Angkor Wat temple of Cambodia, to an Australian aboriginal forest, Buddhist caves of the Chinese Gobi Desert, and Zen monasteries.